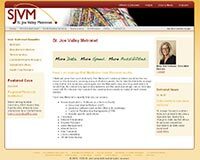 A resource for businesses in the Phoenix area. 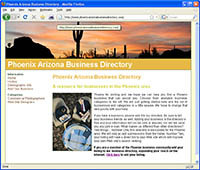 If you are a member of the Phoenix business community you can be added to our Phoenix business directory to expand your reach on the Internet. Our Products are unique and work best in the abusive & demanding environment of your fraternity house, unlike the household brands you buy 'locally', which are made for mom & dad's house. So.... what's made to work 'ok' there doesn't mean it's going to do the 'best job' in your house! PracTrans is not just another migration consulting company. We have extensive real world large project experience with multi-year multi-million dollar engagements. And YES we have references you have heard of that will talk to you openly and honestly about our services and the challenges of your transition from a legacy environment to a new open source environment. 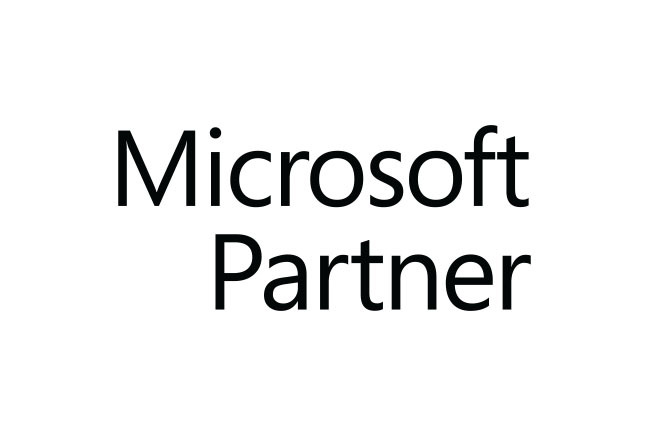 We handle Migrations/Conversions and Data Conversion/Data Archiving for Clients/Partners that you have heard of. Read more about our Methodology, Company and About Us, or you can Contact Us for a quote. A full service sheetfed and web offset printer located in Bedford, Indiana. 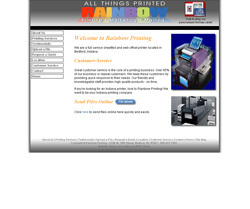 If you're looking for an Indiana printer, look to Rainbow Printing! We want to be your Indiana printing company. Revolution Rolled Ridge Vent is the only truly "Green" ridge vent available. The 11-inch wide by 20-foot long plastic vent core is made entirely from the same polypropylene plastic used to manufacture all of Cor-A-Vent's roof ventilation products. Revolution Rolled Ridge vent is made from excess scrap from production runs of Cor-A-Vents ventilation products. The excess material is reprocessed and fed directly into the Revolution. By reusing the excess scrap it not only keeps it out of landfills, it also reduces the use of petroleum needed for new plastic production. Contact Cor-A-Vent today to learn more about their Revolution Rolled Ridge Vent today! Roof-2-Wall Vent by Cor-A-Vent is a roof ventilation package for the tough-to-vent detail where a pitched roof meets a vertical wall. Incorporating the Active Weather Foil technology and enhanced snow screen to stop rain and snow at the point of entry Cor-A-Vent continues its tradition of being the Leader in Innovative Rooftop Ventilation. From the bottom of your siding to the peak of your roof, Cor-A-Vent, Inc has been manufacturing ventilation products as recommended by the National Association of Home Builders to protect your home from damaging moisture from within and from without - From the Ground, Up! Contact Cor-A-Vent to learn more about their Roof-2-Wall Vent™ today! Up-to-date information technology is key to the successful operation of nearly every organization. By connecting to the nation's largest concentration of coast-to-coast fiber, the St. Joe Valley Metronet gives a huge boost to the IT capabilities of the region. The Metronet now spans over 50 miles in and around both South Bend and Mishawaka, Indiana. Similar in design to an on/off-ramp linked to a high-speed highway. The Metronet can benefit businesses, educational institutions, service vendors, landlords and property managers, government offices, and health care providers. 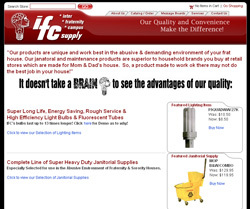 Directory of Tampa, Florida, and Tampa Businesses. Listing businesses in Tampa and the surrounding cities of St. Petersburg, Largo, Clearwater, Bradenton, Tarpon Springs, New Port Richey, and Plant City. Ronald J. 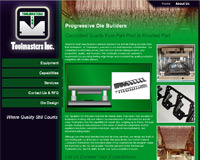 Newcomer founded Toolmasters back in 1973 as a small family business with the notion that consistent quality and on-time delivery were vital components to the success of a tool and die shop. Over the years, we have held true to his wise philosophy, building a well-deserved reputation for top quality tool and die making. Check out our Services, including Blanking Dies, Progressive Dies, Compound Dies, and Wire EDM Services. Learn more about our Equipment, Capabilities, Die Design, and our Die Designers. Any business needing a website and similar services should begin and end its search with BANG!